Generating profit is never bad. If paying a little premium for convenience will save you time and money, then making profit from sales is not an ugly thing, contrary to what some people believe. While everyone feels content with the idea of making money out of modest profit, others love adding a dash of buzz words, a little embellishment, and a slew of other things, and—voila!—instant sales. But what are some of the most common items with extremely high markup that people still purchase regardless of their price? You’d be surprised to find out. Let’s face it: we are all suckers for brands. One way or another, even with the things that help us become physically better. Branded medicine, with all their constant bombardment of advertisements, is something we favor more than generic medicine, even when generic drugstores have become a dime a dozen. For branded over-the-counter (OTC) drugs, the markup can go from 200 percent to 6,000 percent depending on the active component. 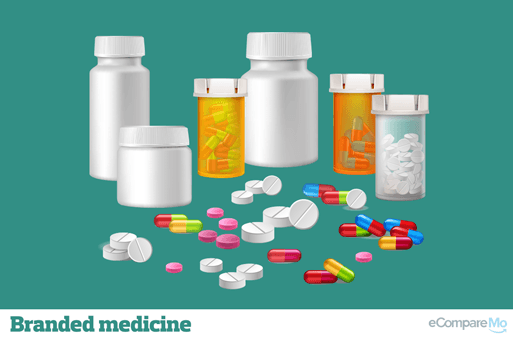 If you want to get more bang for your buck—except when it is an innovator drug and no copies have been made yet—the truth is you’ll get more savings if you go generic. Coffee is the nectar of the gods. It gives us energy whenever we have a bad case of hangover or just not really motivated to go through the daily grind. While coffee is good and universally cheap—especially if you’re not picky with your 3-in-1 afternoon breaks—coffee shops know that people are willing to throw cash; just add hot water please. 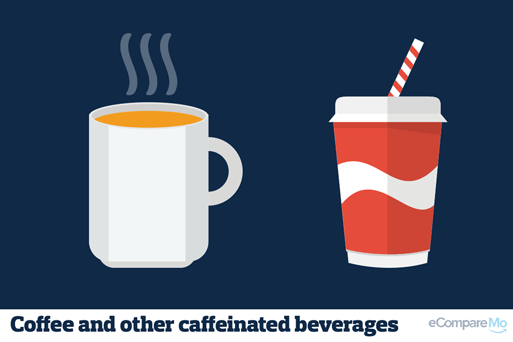 While some people don’t mind spending a fortune for a measly cup of coffee, the most cost-effective way to get your daily caffeine fix, really, is to get your own beans. Buy a coffee maker or a porcelain dripper, and a pack of filter paper, and you’re all set. Experts recommend that you drink six to eight glasses of water a day to stay in tip-top shape. However, buying bottled water every now and then can cause a huge dent on your finances. 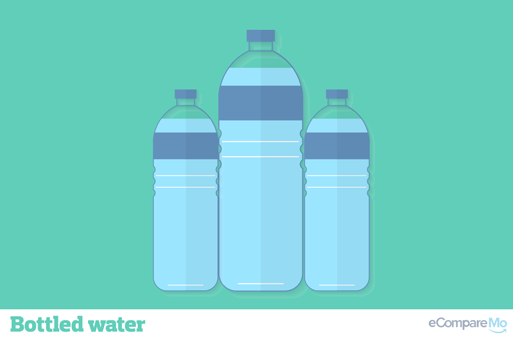 A bottle of water, due to the processing and bottling involved, can have a markup of around 300 to 500 percent, depending on the brand and type of process used. And get this: Researchers at the World Wildlife Fund International have proven that drinking water isn’t really safer than tap water. If you really want to stay hydrated on the cheap, bring a water container with you at all times and don’t go too far from the water fountain. 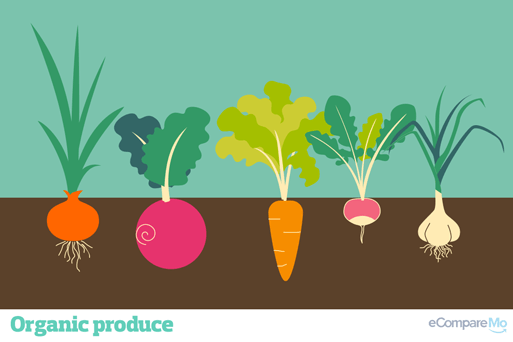 Whether you purchase organic produce as a statement against the Big Man’s unethical practices or because of the perceived effects on your health, organic veggies don’t really have a proven benefit. While they may seem to be packed with this vitamin and that mineral, the markup of organic veggies are actually tremendous, at 75 to 100 percent. As an alternative, you can either get cheap produce from vegetable dealers you trust, or grow some greens in your own backyard. Who says people can’t become the people they hate? Organic veggie dealers are a textbook case of that. 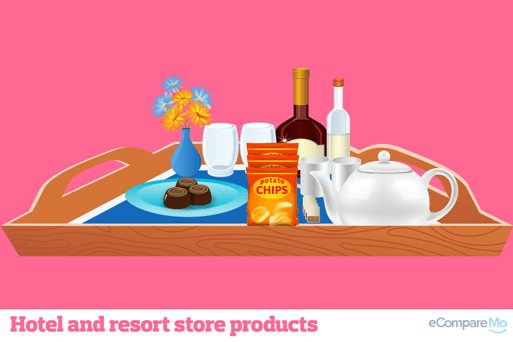 When you check in at a hotel, you’ll find yourself surrounded by an array of stores selling different products, ranging from packed nibbles to humongous bags of chips and alcoholic beverages. While they may be convenient to have around, you’ll be shocked at how astronomical their markup is. The huge patong can go up to 200 percent, especially with alcoholic beverages, since most hotels and resorts have their own bars. How about you take a walk to the nearest hole-in-the-wall instead? It would be nice to make new friends there too.